With the growing popularity of gravel rides, there is practically an event popping up every weekend. For many longtime cyclists ‘gravel’ is just the type of riding we’ve been doing for years. But for riders newer to the sport, or those less likely to take the road less traveled, gravel riding (and the subsequent equipment options), has opened up a new world. For some, gravel riding is a personal test of grit and determination, while others take it as seriously as any road race. Here are some common questions riders have when approaching their first gravel ride. What is Gravel riding, and what makes it different than road riding? Gravel events, sometimes called ‘mixed surface’, are usually mass start events that can take riders on a varying array of terrain changes. Courses may transition from pavement to gravel, dirt or sand. Some events like the The Rasputista Spring Classic are about 40miles and can be won in about two and a half hours. 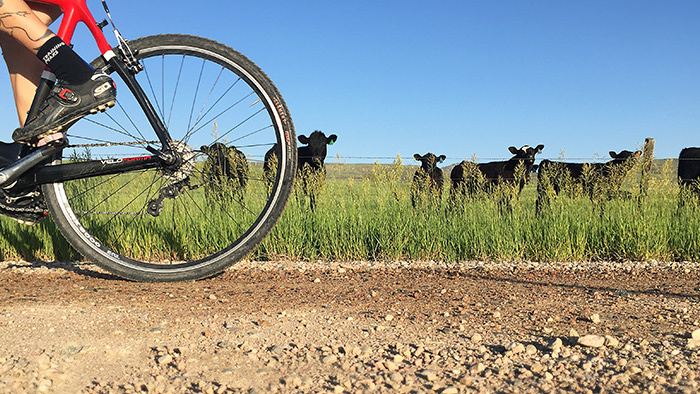 In comparison the DirtyKanza, a 200 miler with all but 5 miles being on gravel or dirt roads, leaders are typically just a tick under eleven hours. Some courses, depending on the weather, may have sections that have to be run or walked due to mud and/or snow. Can I just use my road bike? It really depends on the individual event and of course the athlete’s individual goals. There were plenty of riders at this years BWR (Belgian Waffle Ride) with ‘traditional road bikes’ kitted out with the largest possible tires (usually 25 or 28mm). But for more dirt-heavy events there is a significan benefit to running a wider tire and a wider range for gearing options—similar to a mountain bike. Lost and Found, for example, was won last year on a slightly modified 29er hard tail. Many of these events pride themselves in sticking to the ‘No Perfect Weapon’ moniker, meaning at some point in the ride you will be on the ‘wrong’ bike. Luckily, the bike industry has fully embraced the Gavel trend. Frame manufacturers are providing drop-bar bikes with more relaxed geometry, massive tire clearance, and even a small amount of suspension built into the frames. All of these developments make exploring gravel safer and more comfortable. Of course, you can also pick up aftermarket suspension forks and seatposts (welcome back Thudbuster) designed specifically for drop bar bikes. Tire manufactures have also jumped on board with varying tread patterns, casing widths and rubber compounds, all built to handle the demands of the most relentless gravel roads. The terrain at your event will play a big role in your equipment choice, but the most important factor is your personal goal. Is it just to finish the event and to fully enjoy the experience? Or do you have have ambitions of seeing the front of the race for most of the day? Equipment can look quite a bit different depending on the experience you hope to have. What changes in training should I consider? Again, it all depends on the event and the rider’s specific goals. As an athlete preparing for an event or a coach working with a client to get the ready, I always try to get a detailed picture of the event. What is the mileage? What is the realistic finishing time goal? How much climbing will there be? What’s the percentage of pavement to dirt, and how technical are the dirt sections? All of these factors will determine the type of training stress and stimulus to bring into the training program. As I mentioned previously, the mileage of these events can range vastly, so the amount of saddle time a rider needs to log will depend on their estimated finishing time. If the event is a 3 to 5 hr estimated finishing time then most riders can follow a standard 100km – 100 mile training program. If the estimated finishing time is closer to being an all-day effort, or even into the dark hours of night, then the training will need to reflect that duration in some manner. The cumulative stress of back-to-back days, and eventually moving into back-to-back-to-back days, can often be the most efficient way to get the ideal training stress for events like these. Due to the additional drag of the rough and loose terrain your rpms are typically lower on gravel than on smooth pavement. These higher torque values require more muscular recruitment. A great way to address this in training is by integrating some longer Zone 3 intervals, and riding them slightly over-geared. For example, a 3×30 minute or 4×20 minute zone 3 effort with and 65-70 rpm avg. As the athlete gets further into their training I like to add in 8-10 min of 20sec on 40 sec off, and a couple of 3×3 min at 105%. On gravel, like pavement, there is a noticeable draft effect, despite being on loose terrain. So group riding is a added benefit when you’re trying to tick off some mileage, especially if there are sections of head or cross winds. For someone that does the majority of their training solo, getting into some group rides or organizing some motorpacing can be valuable. This can help you get used to unpredictable ‘on the gas, off the gas’ accelerations you’ll find in group ride situations, as well as the feeling of holding a wheel over variable terrain. If it looks like the event is going to go into the evening or night, then ideally a portion of the training will take place in those conditions. Not only does this simulate the riding conditions of the event but it gives the athlete the opportunity to test out light systems and find the limitations of the battery life. The same goes for particularly muddy, or hot, or humid events—find or simulate the conditions you’ll be racing in to test out all your gear and routines. Some additional elements to factor into the preparation are nutrition and route finding. To start, take some time to look into the event, read some post-event blogs. Sometimes you can even find POV videos on YouTube. It’s worth trying to find out as much about the race as you can before the event. Everything from route markings to aid-stations can vary wildly between events. You may have aid stations thoroughout the route, for example, or you may need to recruit a crew to support you. The course might be the same every year, or it may be announced just days before the event. Will you need a GPS? A hydration pack? A spare derailleur? Knowing the terms of your race will help you formulate the best plan for your energy needs and navigation. No matter what the goal of the rider, gravel events are typically a little ridiculous and designed to put you out of your comfort zone. There’s no right or wrong way to do it, so encourage yourself (or your athletes) to get out there and push those mental and physical boundaries. With gravel many skills will carry over to other disciplines on the bike, and many find a sense of freedom out there on the dirt roads. Jake Wells is a professional cyclist, with over 10 years of experience racing bikes at the pinnacle of the sport. He is a National Champion in both Cross Country Mountain Bike and Cyclocross. His success ranges from Ultra Endurance 200+ mile gravel races to Cyclocross, as well as multi-day road and MTB stage races. In 2010 Jake began working with other athletes to help them achieve their endurance goals. 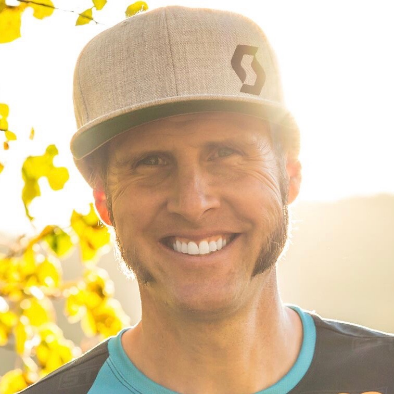 A few years later he opened FORM Attainment Studio in Edwards, CO specializing in endurance coaching, dynamic bike fit and functional personal training. Jake has certifications from ACE, Gary Gray Institute, Serotta International Cycling Institute, Training Peaks, and Retul.